A great many benefits come from straightening crooked teeth. Misalignment affects not only your smile, but also the motion with which you chew foods, the way you speak, and the degree to which oral bacteria can affect teeth and gums. Though the side benefits of correcting misalignment are significant, appearance leads most people to seek Invisalign treatment in our Shrewsbury, MA dental office. For those who prefer to keep dental treatments to themselves, Invisalign is ideal. Invisalign is a customized treatment that is tailored to each patient's oral structure. Even more importantly, treatment is tailored to patients' desire to keep treatment to themselves. We tend to love sharing news and information about ourselves with others, but we want to do so on our own terms, not because we have no choice. Metal braces cannot be hidden. Tooth-colored braces, even, have a tendency to be somewhat noticeable. The clear plastic trays of Invisalign, on the other hand, are barely perceptible because of their translucency and because they are formed so closely to the teeth. There are no protruding parts to catch the eye, only beautiful teeth. Photos and special events do not have to be impacted with this form of treatment, either. Based on removable aligners, Invisalign allows you to enjoy life to the fullest by removing aligners for short periods when you wish to show your smile in its most natural state. Conventional bracket-and-wire braces, even those that are tooth-colored, can slow down your daily routine due to the extra time that goes into properly cleaning teeth around these obstacles. Rushing through brushing and flossing without taking the extra time can lead to marks on teeth around brackets as well as cavities. Meals are also impacted with conventional braces because there are foods that could damage brackets or wires, or both. Invisalign removable aligners allow you to eat the foods you love, and to keep your smile clean and healthy because there are no obstacles in the way of brushing and flossing. 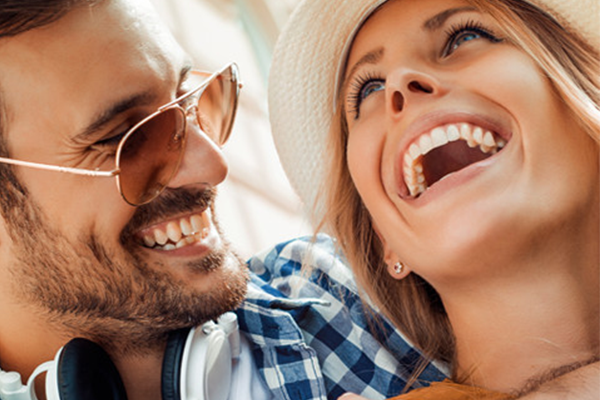 Your smile can be improved on your terms with Invisalign. Contact Levenson Smile for your smile-perfecting consultation.